USB Hub auxiliary AC Switchmode 10 watt regulated power supply, with 5 volt DC output, desktop style. 5 volt 2 amp DC power supply for use with USB hubs. This is a compact, high quality, 5V switchmode regulated power supply, 10 watts continuous for use as an auxiliary power supply for USB hubs. A USB hub can take its power from the computer, but since the amount a single USB socket can source is limited most USB hubs have an optional connector to connect a power supply to. This allows more power to be used by devices plugged into the hub. This is particularly useful if you need to charge devices from the hub. 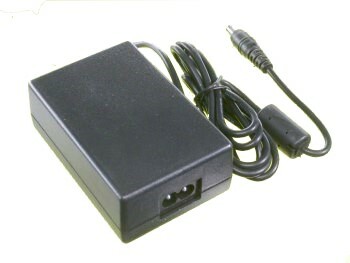 This power supply can supply the voltage needed. The connector kit will fit all the hubs that we have tried. AC plug Removable IEC C14 connector makes it easy to use international mains cords. 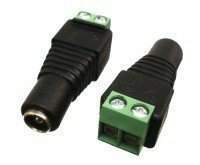 Includes the following DC Plugs slip over the 5.5 x 2.1 mm connector if needed. Universal input switchmode power supply with fixed 5 volt output voltage for USB HUBs.